(Bloomberg) -- The lawyer for the chairman of the National Enquirer's parent company said there wasn't any blackmail, extortion or political motivation involved in the fight between the tabloid and Jeff Bezos, the founder of Amazon. Photos and other details about Bezos's extramarital affair came from "a reliable source" known to Bezos -- and not from President Donald Trump, Saudi Arabia or Trump adviser Roger Stone, said Elkan Abramowitz, an attorney for David Pecker, the chairman of American Media Inc.
"It was a usual story that National Enquirer gets from reliable sources," Abramowitz said on ABC's "This Week" on Sunday. He didn't name the source. "It absolutely is not extortion and not blackmail." It doesn't look that way to everyone. "AMI is in a world of hurt," said Michael Pachter, an analyst with Wedbush Securities who has covered Amazon for years. In a public blog post Feb. 7, Bezos published letters from lawyers representing AMI who demanded he drop a private investigation into the company -- or else it would publish more embarrassing photographs about him. Bezos accused the National Enquirer publisher of extortion. His post referenced Pecker's connections with the Saudis and suggested more would come to light. 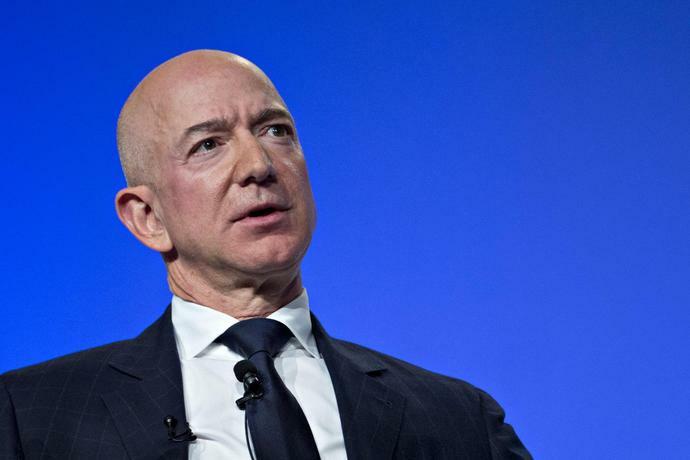 The Amazon founder, who owns the Washington Post, also appeared to be making references to his paper's aggressive investigation of the murder of Jamal Khashoggi, who wrote for the paper, and the seeming reluctance of the Trump administration to hold Saudis responsible despite that assessment by the intelligence community. Abramowitz suggested the letters were an attempt to resolve differences because Bezos didn't want another story about him and AMI "did not want to have the libel against them that this was inspired by the White House, inspired by Saudi Arabia or inspired by the Washington Post." By emphasizing that the story about Bezos having an affair was already in the public domain, "Abramowitz was in essence admitting that they were trying to extort a statement from the owner of the Washington Post," said Ted Boutrous, a partner at the Gibson Dunn law firm in Los Angeles. "That's really a significant problem for the National Enquirer." 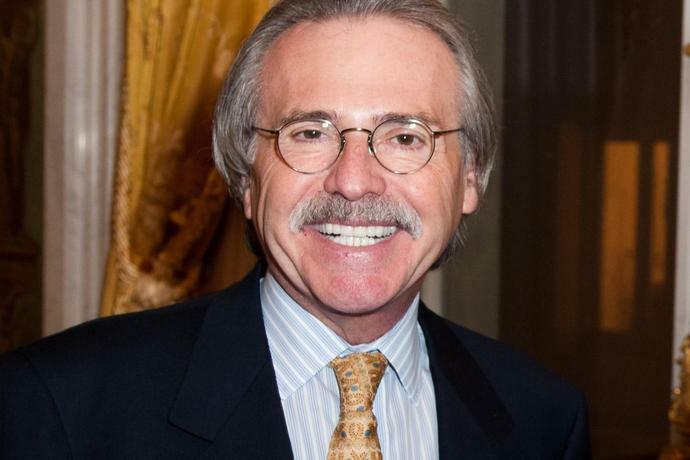 Pecker has gotten himself in -- and out -- of much trouble over the years. But fighting with Bezos may be a step too far. It's doubtful Bezos is willing to let the matter drop. Rather than pay hush money he certainly could afford as the world's richest person, he said he'd rather risk embarrassment of the publication of intimate messages or pictures -- including those "under the belt" -- than "capitulate to extortion or blackmail." Bezos is probably mulling whether AMI will now be in deeper trouble with prosecutors -- or whether he will draw from his deep pockets to destroy them on his own. Or both. Asked whether he's worried that the Bezos revelations have put the cooperation agreement in jeopardy, Abramowitz responded, "absolutely not." Abramowitz also said while AMI has sought financing from the Saudis, it "never obtained any, doesn't have any Saudi Arabian finance." Bezos said last month that he and his wife, MacKenzie, were divorcing, in an announcement that came just hours before the Enquirer reported that Bezos had been having a relationship with another woman. Bezos hired a private investigator, Gavin de Becker, to learn how the texts were obtained and "to determine the motives for the many unusual actions taken by the Enquirer." Abramowitz dangled a tantalizing new detail. He said Bezos did in fact know who the source of the story was. "It was somebody close" to both Bezos and his girlfriend Lauren Sanchez, he told ABC's George Stephanopoulos. Abramowitz refused to confirm or deny speculation that the source was Bezos girlfriend's brother, Michael Sanchez, a Trump supporter who is close to the recently-indicted political operative Roger Stone. He reiterated that it was a legitimate offer to call off the feud for mutual benefit. "Each side had something that they wanted," Abramowitz said. --With assistance from Christian Berthelsen and Jennifer Jacobs.